Ruth Brummund, Dipl Psych : Uranian Astrology : "The Brummund Technique Book"
translated by L Blake Finley, M.A. PLEASE NOTE: This book is Not to be confused with a book alternately titled "Handbook of Techniques for the Hamburg School" or "Tools & Techniques for Uranian Astrology", a translation of a book co-authored by Ms Brummund and Udo Rudolph in 1985, translated and published elsewhere -- the contents of the English translations are of radically different character and quality. The Special Uranian astrology program by Aureas Software, designed in collaboration with Ruth Brummund, is designed specifically to implement the techniques covered in this book -- click here for further information. The new Brummund Technique Book or "Uranische Techniken Hamburger Astrologen", first published in German in 1994 and supplemented with new material since, delineates Ruth Brummund's concise and coherent approach to Uranian astrological practice. In the past, Ms Brummund's books have been presented indirectly through printed English translations where many ambiguities were left unaccounted for or unanswered. To resolve this problem, the content of this book, with new supplemental materials, will form the core of new Uranian Astrology classes to be taught by Uranian astrologer Blake Finley, with coaching and mentoring by master astrologer Ruth Brummund. Ms Brummund intends to be available for questions asked in English during the classes, relayed to her, and then translated from German for the class to further study and discuss during the next or subsequent class periods. The classes will also use the new Special Uranian computer program by Aureas Software, designed in collaboration with Ruth Brummund, to present and work with the study materials. The Special Uranian program is scheduled to include the midpoint interpretations from the authoritative and comprehensive new Brummund Rulebook, original published in Germany in 1990, with subsequent updates. The courses will be offered in a university seminar format, and are intended to bring astrologers up-to-date in both those techniques that have proven over time to be the most effective for routine use, as well as newer techniques and approaches that stay on track with key points of the chart, and address key and critical personality issues. For those familiar with traditional Hamburg techniques, take note that use of houses, sensitive points, antiscia, and rulerships will be among the historical techniques excluded from the lessons. Examinations will be offered, and a Certificate of proficiency awarded to those students demonstrating competence in the material studied. Note that the classes will not be a forum to debate the relative efficacy of other astrological techniques... this can be done elsewhere, in other classes or other forums. The Transneptunians and Cultural Archetypes © by Ruth Brummund, Dipl. Psych. : This excerpt presents and authoritative description of the archetypal energies of the Transneptunians through pertinent symbols from the collective unconscious, based on the author's research at the Hamburg University Library and her many years of practical experience working with the Transneptunians. Astrology over the Course of Time: © by Ruth Brummund, Dipl. Psych. 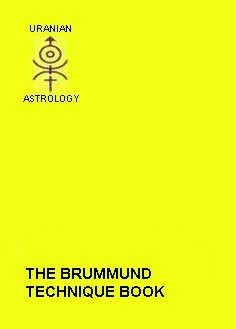 : This short history of astrology by Ms Brummund takes you from the beginnings of civilization to the most advanced state of affairs in Uranian Astrology. Following is a translation of the Table of Contents of Ms Brummund's book. Selections from these topics will be presented in various courses. Astrology over the course of time. Calculation of the Meridian and Ascendant. Working in the 22°30' mode. The astrologer as a consultant. The Special Uranian astrology program by Aureas Software, designed in collaboration with Ruth Brummund, has been designed specifically to implement the techniques covered in this book -- click here for further information.